← Surprise September Flash Sale! Save 40% on Your New Order! In a previous post on our blog we discussed the idea of using the LiteSpeed page caching feature to improve performance of WordPress. The caching drastically improved the performance of a WordPress installation. You were able to go from just over 200 requests/sec to 1800 requests/sec with just a simple htaccess line. The LiteSpeed team have however worked on making it even easier to accomplish this with the introduction of their LiteSpeed Cache plugin for WordPress. With this plugin you have further control over your caching policies and can utilize a simplified htaccess mod_rewrite rule. I’m going to quickly go through how you install and configure the WordPress LiteSpeed cache plugin. The initial step of course is to install WordPress which you can do through cPanel using Softaculous. There is no need to work with the cPanel file manager or an application like FileZilla. Just a few clicks and your WordPress is installed. Which now leads us to the point of this post is just how to install the LiteSpeed Cache plugin. You’ll then click the install now option which will install the plugin. Now that it’s installed you need to activate the plugin. 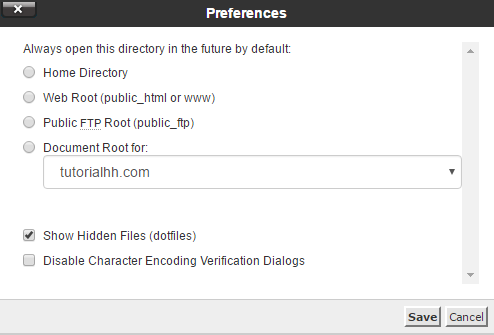 You can do this in your WordPress admin interface by clicking ‘Plugins’ and then ‘Installed Plugins’. On this page you should see your list of plugins including the LiteSpeed Cache plugin. Click the activate option to activate the plugin. You will now see a settings option for the LiteSpeed cache plugin which you’ll click so you can start configuring the plugin. On this page you’ll be able to set the cache TTL, frontpage TTL, separate mobile caches and various other options. For most users the settings should be fine and you can just save the changes. This setup is no longer necessary the plugin does this automatically for you. You’ve now completed the installation and setup process of LiteSpeed Cache on Hawk Host and it’s time to take advantage of the speed increase. This entry was posted in General, Tips and tagged litespeed, litespeed cache, performance, wordpress. Bookmark the permalink. Recently I’ve installed LiteSpeed Cache , I can feel improved page speed than the previous WP-Super Cache. Page speed drastically changed, I got my TTFB faster than 200ms and got no any warning from Google pagespeed insights. After install litespeed cache plugin, can i install w3 total cache too? You can use any permalink structure it should work. As for mixing multiple caching plugins this is not recommended. Litespeed Cache plugin supports mobile specific views in it’s settings. Enabling both plugins would just result in you creating w3 total cache pages which would never get used as the Litespeed cache pages would be used. I have a issue with W3 total chace and thrive visual editor. How can I solve this? Btw, LiteSpeed Cache vs W3TC, which one is better? Litespeed cache would be better than W3TC more than likely although it be pretty close if you’re using page caching of w3 total cache. If you’re using Litespeed Cache there is absolutely no reason you’d even want to be using memcached with w3tc. The reason being if memcached is being used that means PHP was being used. Even with memcached it’s still going to be slower than Litespeed Cache or W3 Total Caches’s page caching method. My recommendation would be turn off W3 Total Cache and your Memcached instance and just use Litespeed Cache. I did on two sites and server loads reduced. May be because W3TC itself eats up quite few resources every time WordPress loads. No need to have a cache plugin. This is cool. I have wp rocket onto my website, can use together with litespeed cache? Hi, how to check if LSChache plugin is working correctly? It seems that you don’t need to perform the Step 5 now. The plugin adds CacheLookup Public on by itself. is this plugin support json api ? I using WP Rocket and happy about it. Should I switch to Litespeed cache? Which one is better? We’ll update the post as at the time of the writing of this post the plugin did not do this. We made a feature request and the Litespeed team implemented it. Not sure what you mean it can cache any pages. Or do you mean if it has it’s own JSON API? The advantage is the Litespeed cache with us is free of charge. It is compatible with most major plugins and it is at least as fast if not faster than any other caching plugin. This is a web server based caching while others rely on serving static files to the users. Thanks for your information about improve performance with litespeed. I already use it for all of my websites and performance is really good. It’s better than others standard caching plugins – W3TC, WP Super Cache, etc. Oh new features. Thanks for hawkhost. My blog wordpress load very fast. I’d recommend posting on https://wordpress.org/support/plugin/litespeed-cache and explain the issue you’re seeing. It sounds like either a bug or a compatibility issue that they could fix in the future. is there any explain LiteSpeed Cache Settings? Great, that is what I am looking for. However, I think I need to figure out another way as in my case I use another platform so no ready-to-serve plugin is available :-(. Any suggestion? If you’re having a compatibility issue with the Litespeed page caching plugin you would be best to post here: https://wordpress.org/support/plugin/litespeed-cache . I should not using the plain permalinks option? like /%postname%/ ? Your website is loading exceptionally fast for me. It’s loading in about 500ms from the east coast in North America to Singapore and considering it’s about 250ms to Singapore it means the page rendered in under 250ms. What sort of speeds are you getting and what sort of speeds were you expecting?